Thinking about purchasing an investment property and wondering whether it’s best to buy it outright or use your IRA? Many people believe they’ll lose benefits by using their IRA, but that’s incorrect. Join David Moore of IRA Advantage in this episode and learn about the details of leveraging a Real Estate IRA to secure your investment property. We’re going to cover a few questions today. The first one’s How is IRA investing in real estate different than buying it personally? The second one’s What are your thoughts on a real estate IRA? FAQ 1: What Are Your Thoughts On A Real Estate IRA? Well, I guess these two questions are some of the biggest ones I address commonly and as somebody that’s not selling investments, we’re just giving the opportunity to invest. We’re providing the investment vehicle. So, I’m not selling investments or giving investment advice. It’s a great question to answer because most of the objections you hear from people are all based on incorrect facts, and a lot of the reasons people say to not invest in real estate with a retirement account are really moot points because, there’s not an investment you can make that are going to benefit from those. Examples would be, I hear it all the time. Well, why would you buy real estate with an IRA when you’re going to lose long-term interest deductions, capital gains tax treatment. You know, you lose those benefits. You can’t finance it. All those things are actually wrong. I mean, you can. 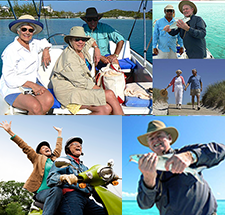 You can leverage an investment with an IRA. There are situations where you get interest deductions or depreciation if it’s a leveraged investment. But you just have to have tax people that understand how these things work and are going to be able to work with you to take care of things. But you know, the other objection from the Wall Street world on buying real estate with an IRA is it’s not liquid, so what do you do when you’ve got to take an RMD and there’s no cash to do it? Well, a simple solution to that is just taking in-kind distribution. You take a membership interested in an LLC that owns an asset, the piece of real estate, or you could actually deed a tenancy in common interest in the property. Either way, you’ve got some opportunities because you’re taking something typically at face value. If you take a cash distribution, it’s clearly whatever the cash is. If you’re taking an in-kind distribution in a piece of property, number one, what’s the property worth? Number two, you can discount that valuation by up to 40% through gifting or the gift tax strategies on a minority interest in something. So, the idea is if you get the whole thing, it’s clearly worth whatever the face value is, but if you’re getting a piece of something, it’s not. You don’t have controlling interest and you can’t do it. 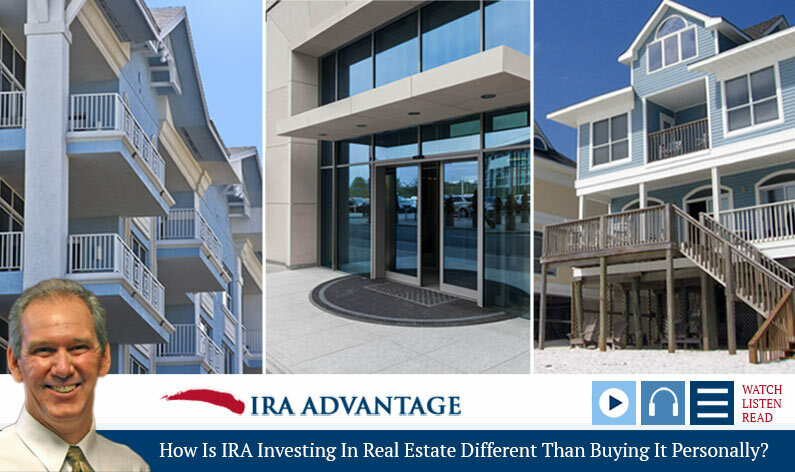 FAQ 2: How is IRA Investing In Real Estate Different Than Buying It Personally? So, when we look at whether you should or should not buy real estate with an IRA, I think really it’s truly a question of diversification, and that’s all it is. You should look at your money in the retirement account or all your money for that matter, and say, “Okay, what’s the highest, best use for that money? What’s going to give me the best, safest return?” and if real estate’s it, then do it. But if we’re looking at comparing money that you pull out of your pocket to buy a piece of property versus taking a retirement account and buying that same piece of property, there’s obviously differences there. If you pull money out of your pocket, you can work on the property. You’ve got, at the end of the day, you can actually, at the end of the day you’re going to have long term capital gains tax treatment if you’ve held it long enough, or you’re going to be able to do a tax deferred exchange and kick the ball down the road just similar to a retirement account situation. So, if you personally buy it, lots of benefits. Leverage obviously, interest deductions, depreciation, the cash flow, appreciation, long term capital gains tax and 1031. If you are going to use your IRA to buy the property, you’re not going to get any of those things until you’re 59 and a half. You’ve got to understand that you’re not pulling money out of a retirement account to go buy this property, you’re actually using the retirement account to own it. You do not own the property, the retirement account does, so as far as any personal benefit, you’re not going to get any until you take a distribution. But when you’re looking at these things, name an older investment than real estate. Stuff doesn’t have to go up to make money. You’ve got cash flow, you’ve got other options other things going on in it. Bottom line is whether you should or shouldn’t buy real estate with your IRA, it’s up to you and your investment desire. What do you want to use that money for? What’s going to be the highest, best use for you, and if that happens to be real estate, come talk to us. We’d be happy to help you get there whether it’s tax money or qualified money. So, once again, our background is real estate investment. We’ve got a 1031 exchange company, EquityAdvantage1031Exchange.com, so if you’ve got tax money, we’re happy to help you at the end of the day with 1031 exchanges. If you’re in a situation where you would like to use your qualified money to go out and buy something, we’re happy to help you there with IRA advantage.